2017 Season - "THE STORY TELLER"
The 2017 Marching Titans take the field this year coming 4-straight years of top 13 finishes finishing with the schools record high score and finishing in 6th place at Tournament of Bands Atlantic Coast Championships. The Band was led on the field by Drum Major Kattie Fetting and was assisted by a fine group of section leaders. The Marching Titans are currently conducting weekend training camps in preparation for the upcoming season. If you would like to be a member of the Band please contact Mr. Karos ASAP. The concert band is comprised of all members enrolled in the band program at Tuscarora High School. The concert band repertoire consists of quality original works for band and the best in orchestral transcriptions. The band attends the county music festival held annually and the state music festival upon qualifying. 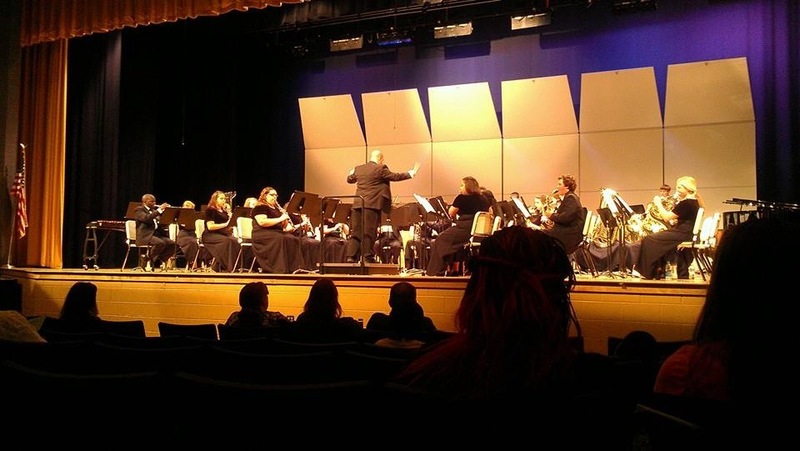 In addition, the THS concert band will perform two concerts a semester and host a concert of out feeder programs involving the local elementary and middle schools. The Western Frederick Indoor Performance Ensembles are a collaborative effort between Tuscarora and Brunswick High School. This Ensemble Begins late November and runs through the end of March. The Jazz Ensemble is an integral part of the overall band program. A serious effort is made to promote the growth and performance of jazz and related styles of music.Membership for the ensemble is determined by auditions held by the Director of Bands as well as participation in either Marching Band or Concert Band classes. One of the highlights for the ensemble is participation in several jazz festivals. The group will rehearse after school twice a week starting in November.